With MyChart, manage your health care anytime, anywhere. Questions don't always come up when your doctor's office is open. You used to have to wait for business hours, leave a message, and then hope the return call came when you were available to take it. What if you could communicate with your provider when it worked best for you? Now you can. With MyChart, you can sign in through our secure portal to exchange messages with your provider, request appointments, renew prescriptions, check your test results the moment they come through, and much more. If you are a parent, legal guardian, or legal caregiver, you can even request proxy access to those patients' healthcare information. 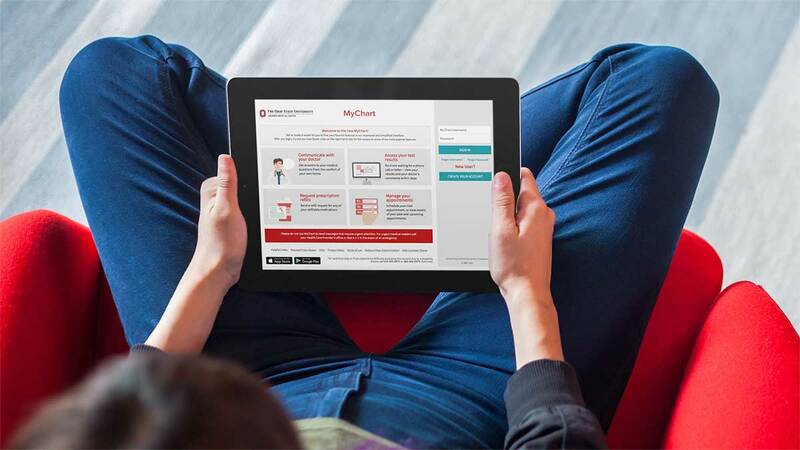 Access MyChart through the Ohio State myHealth mobile app or desktop computer to manage your medical information anytime, because life happens outside of business hours. Ask your medical questions to your provider by sending messages. Receive notifications in MyChart Inbox the moment your test results have been added to your medical record. Send a request for any of your renewable medications. Schedule your next appointment, or view details of upcoming appointments. You can call Customer Support at 614-366-6975 or toll free 866-966-6975, Monday through Friday from 9am to 6pm. You can also view our frequently asked questions. Already have a MyChart account? Don't have an Ohio State healthcare provider? "It's a real time-saver. I can log on any time of day. Instead of having to call during office hours, I can send an email at my convenience, and I receive an answer within 24 hours." "Now I'm doing everything I can to take charge of my health care. I'm managing my family's health, too. And I'm doing it all online." 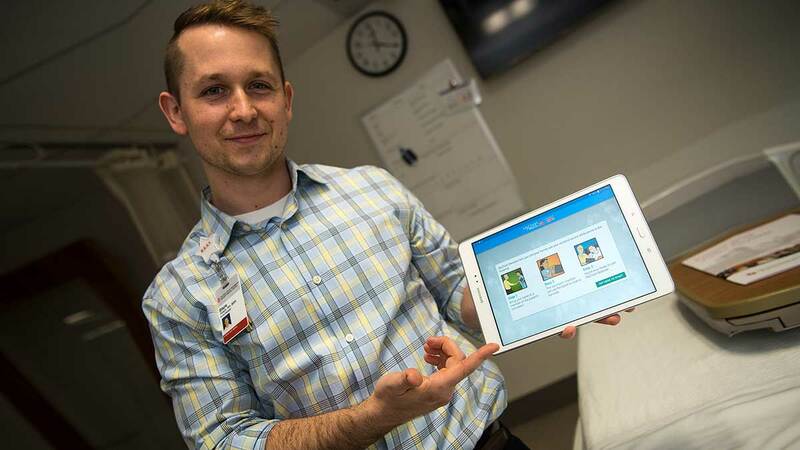 Through the app, patients can manage a wide range of tasks, including sending messages to their doctors, viewing latest test results, ordering meals and more. Check out this overview of three of the most popular features of MyChart, including messaging your doctor.